Disclaimer: I am a Buzz agent. 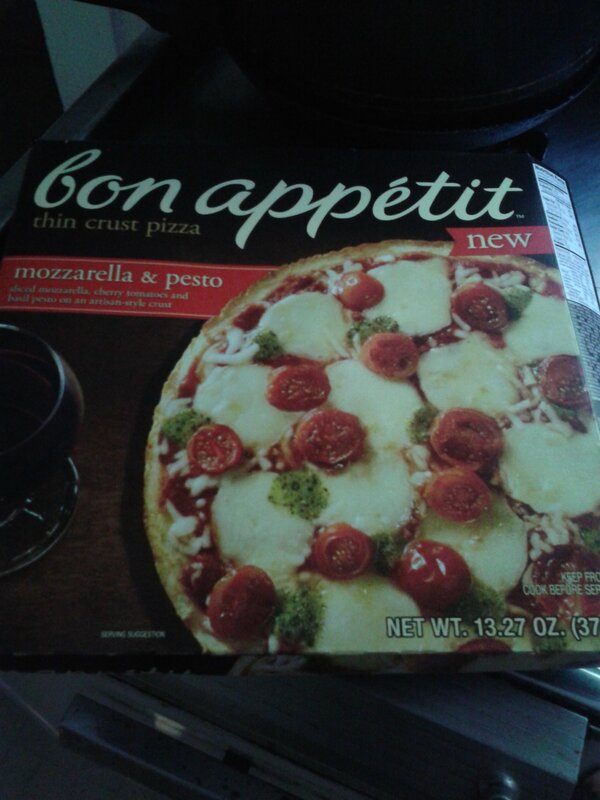 I received a coupon for a free Bon Appétit™ pizza and coupons for money off to give to friends. All opinions are my own. YUM! I love pizza but as a vegetarian get sick of having to sacrifice what I would like on a good veggie pizza for my boys’ loves of meat of almost any kind on a pie. 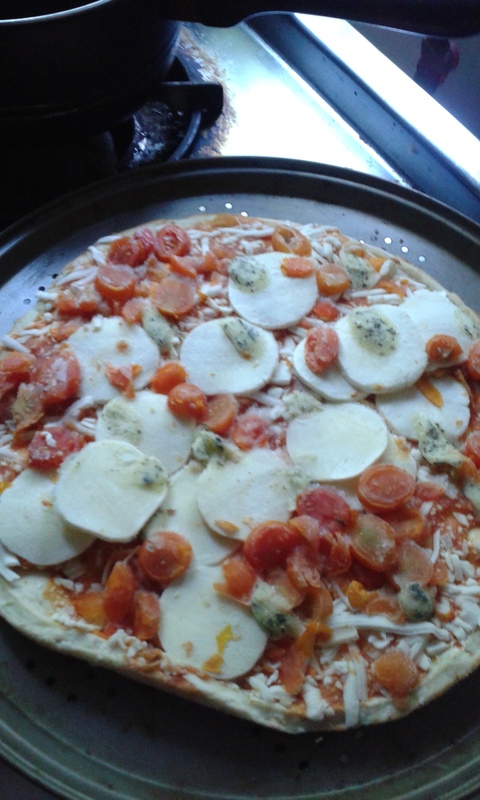 Enter Bon Appétit™ pizza. Offering a thin crust and five what I consider to be gourmet varieties, bon appétit pizza is the perfect alternative to local pizza or same old toppings. I selected the mozzarella and pesto pizza when I went to my local store with my coupon. The price taken off my total was $5 as the pizzas were on sale for 2 for $10 that week. I do not recall the regular price on these pizzas. 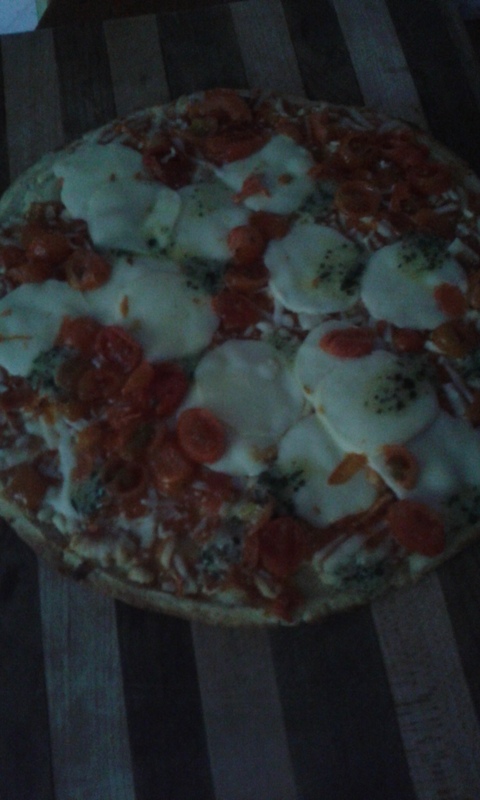 On top of slices of mozzarella, the pizza was topped with halfed ripe cherry tomatoes and dollops of pesto. As a pesto afficionado, my only complaint about the entire pizza is there could be more pesto on it. This particular pie took about 13 minutes to back in my oven and it came out a delicious looking pie. The thin crust was crunchy and starting to burn a bit in my oven so I did not melt the mozzarella slices as much as I could have. I have to say that I would highly recommend these pizzas to anyone who loves thin crust pizza. Also available are roasted vegetable, spinaci, pepperoni and pesto and trio bacon. I will be sure to have the boys try one of the meat pizzas next but I have my eye on the roasted vegetable.